We dedicate this book to the people who lived the history of Aspinwall and her surrounding farm lands. It took stamina and imagination to survive far from established settlements in the days before the railroads came and the new town of Aspinwall was created; it took determination and courage to build stores and homes where prairie ground had been; and it took hope and strength to carry on in times of economic depression, wars, and assaults of nature. Because our forefathers displayed a warm regard for each other and the world around them, they have insured a promising future for us and for generations to come. 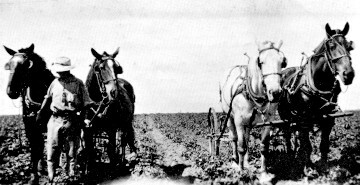 Bill Soll, a native of Germany, worked for Hubert Lamp when Soll first arrived in this area; here he is cultivating corn. 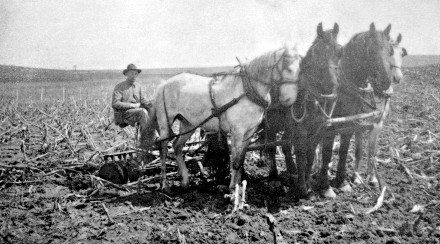 Henry Jahn unloads corn in the fall of 1912 at the farm across from Hayes Township Cemetery. Charlie Kuhl discs corn ground. Due to pictures # 4, 6, 7, 8 being printed across the fold of the inside cover they were not scanned. 4) Ferd Jansen and a load of freshly picked corn. 6) Herman Ehrichs, Walter Mathiesen and Rich Schacht. 7) Frank Wegner carries lunch to Orren Schroeder, who is operating a binder in the 1930s. 8) This Regular Farmall International, purchased from Emil Ehrichs' Garage in April 1927, was the first tractor Emil sold in Iowa Township and the second tractor purchased in Crawford County. 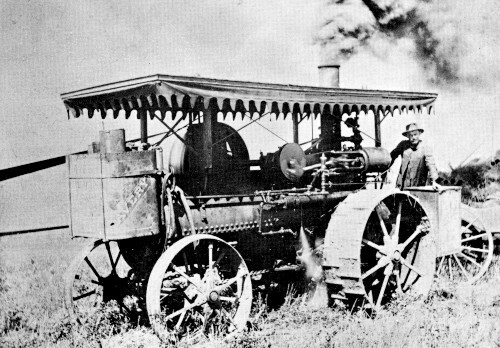 John Derner was the new owner, with Ehrichs shown demonstrating the machine. 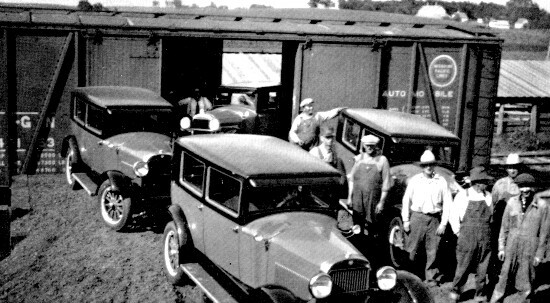 A load of Essexes arrived by rail for the Ehrichs Garage in the late 1920s. 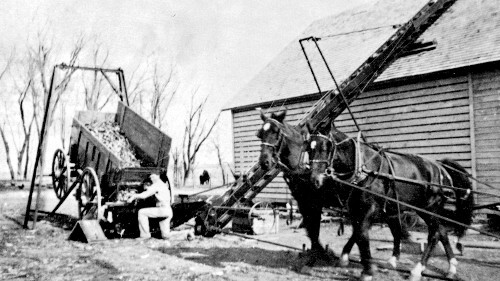 William Wegner owned this Avery return flue threshing engine in the early 1920s.